August has been hotter than ever so we’ve decided to keep the parties going! This Saturday, August 13th is our Full House themed 90’s party. We will be playing all the best hits from the 90’s, as well as hit songs from the show! We are strongly encouraging you to dress up as your favourite character from the show, or better yet, favourite 90’s character. Doors are at 10, and be sure to grab tickets here so you don’t get stuck waiting in line. 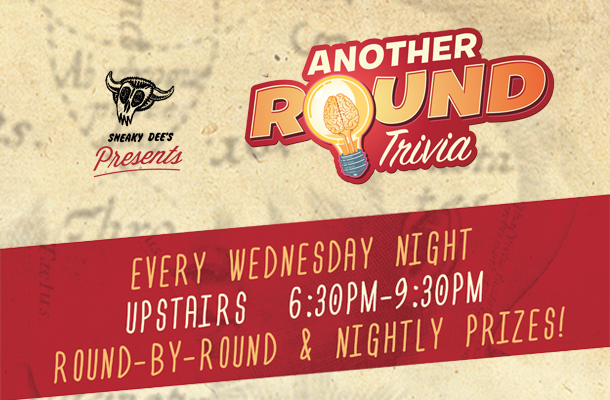 Also be sure to check out our weekly trivia night, every Wednesday. Answer questions, win free food! What more could you ask for? This isn’t your grandma and grandpas trivia either, be prepared for crude and rude team names and questions. Be there early to ensure guaranteed entry!